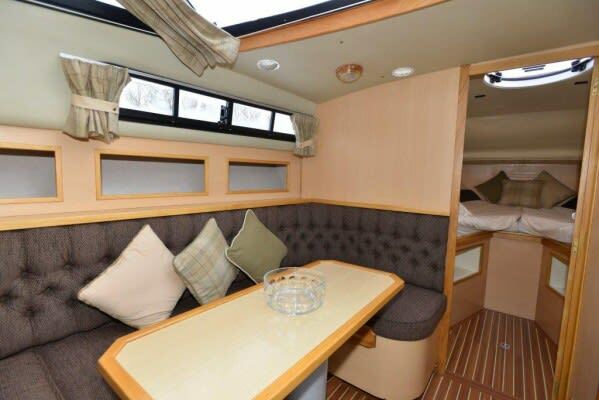 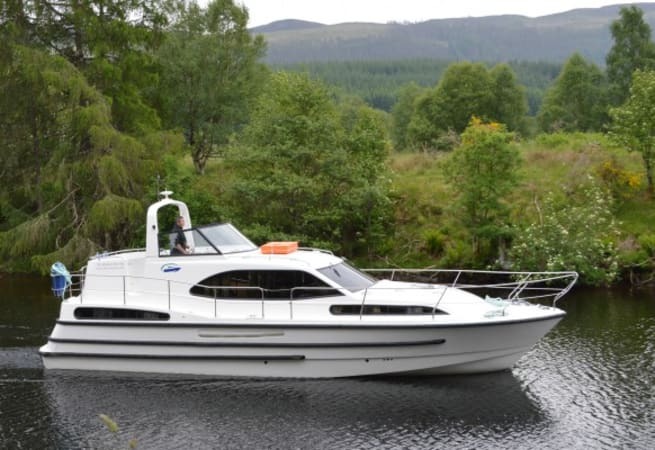 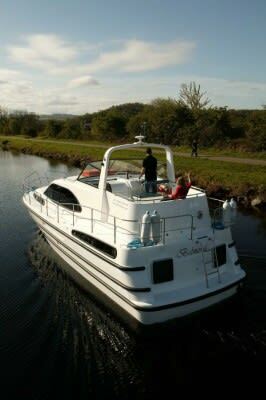 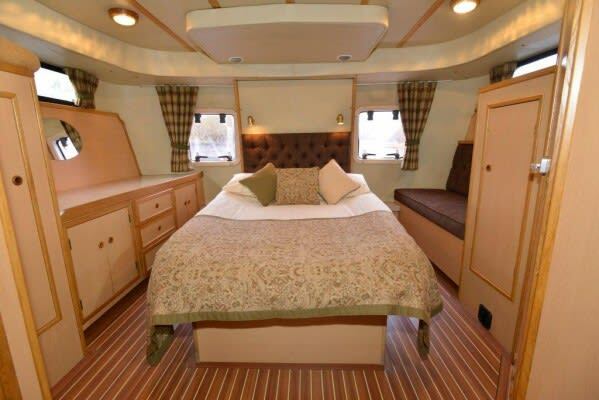 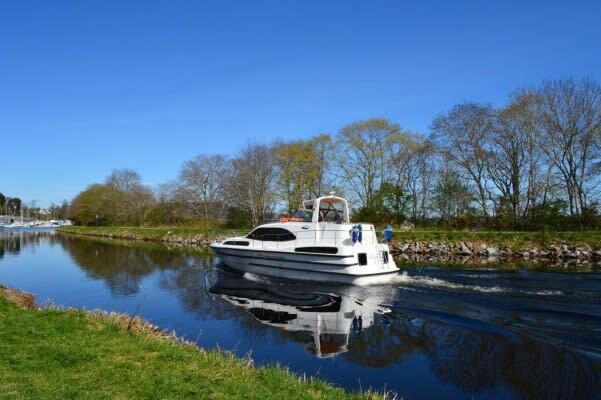 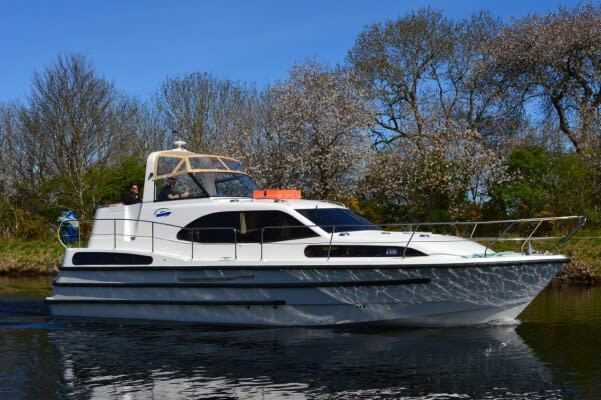 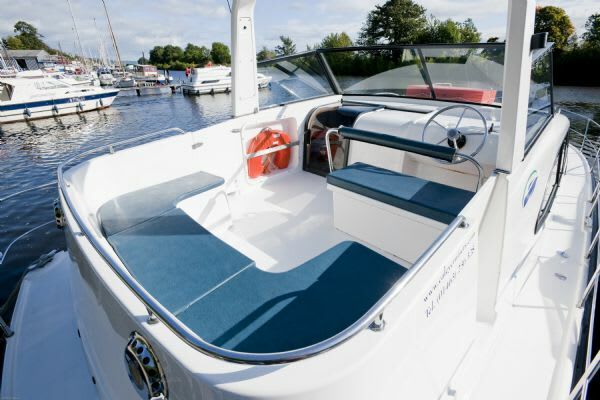 Balmoral is an impressive, beautifully fitted out 11.5-metre craft and offers great comfort afloat. 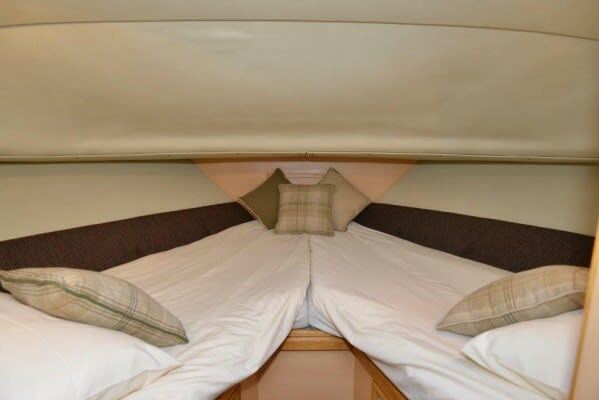 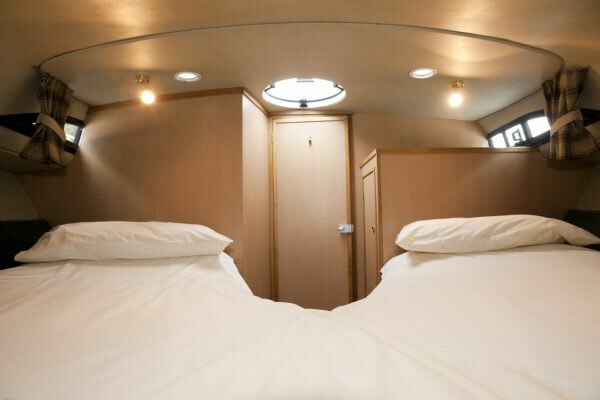 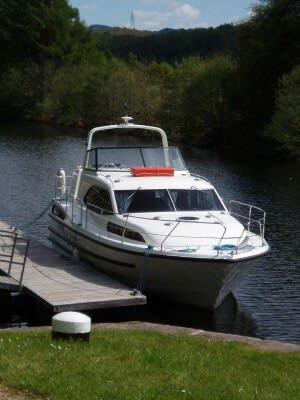 She is ideal and recommended for a family of 4 with her large double cabin aft and a twin/double cabin forward. 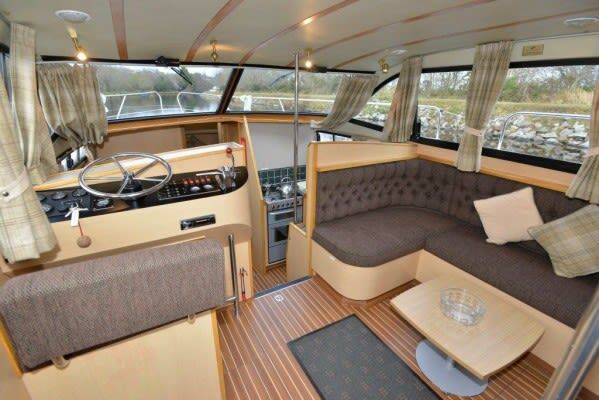 The recent addition of a sprayhood over the helm position on the outside deck makes her an ideal choice for the traditionally colder times of the year. 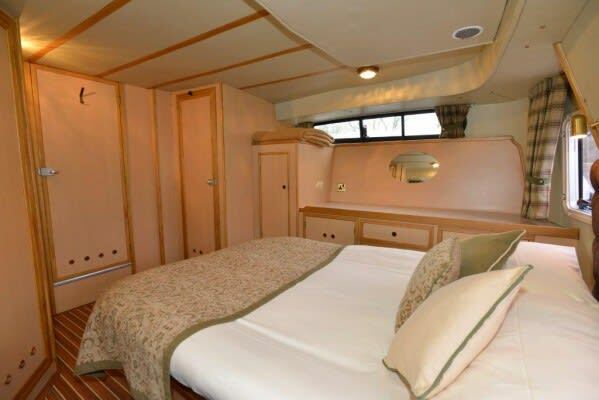 The Balmoral class features a spacious saloon, wonderful power showers, electric flush toilets and a galley with full-size fridge. 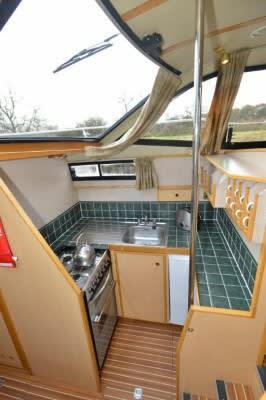 In addition, she is equipped with dual steering, TV/DVD*, hairdryer, toaster and electrical hook-up. 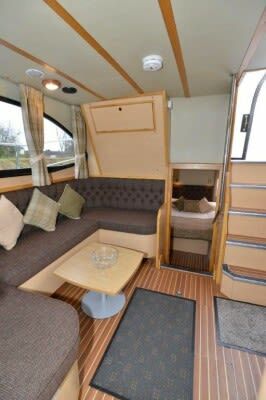 She has plenty of outside seating on the top deck area.